RA 18h 53m 45s Dec: +33° 2' 16"
200mm F5 newtonian @F5 , SC1.5 toucam RAW mode. IRB filter. 120x15s frames debayered and stacked in a testing copy of Registax v3. Curves and colour balanced in photoshop. 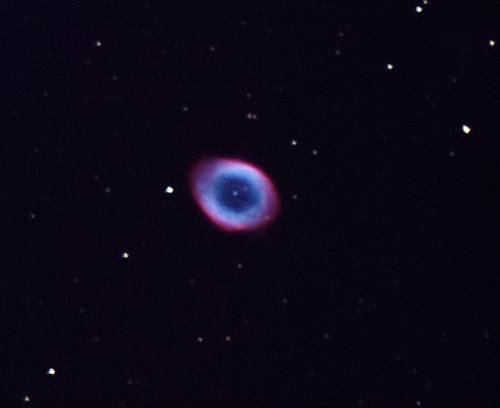 Rather late in the season - but I am rather pleased with how this M57 turned out.